‘Psychological illusions, mind-control and temporal distortions’. 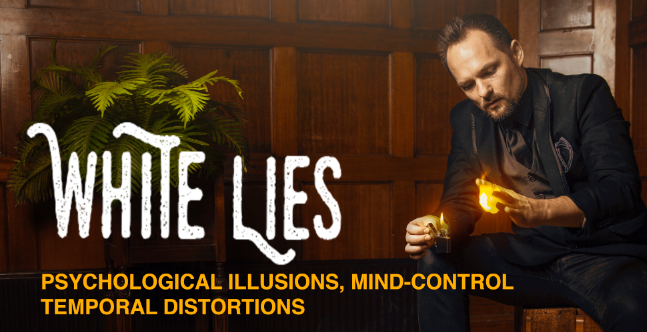 White Lies sounded like an intriguing show and having sold out at the Perth Fringe, it was no surprise that the opening night at the Melbourne Magic Festival was also a sell-out. This is a one person act by Pierre Ulric, a professional entertainer and illusionist. In an unusual twist, the show starts at the end and works backwards; the first of many mind distortions. In just one hour, the audience experience mind reading, metal twisting and hallucinations, with plenty of laughs in-between. 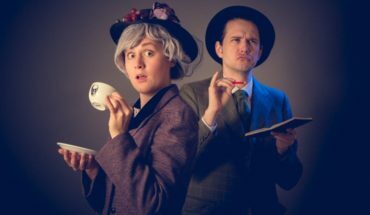 It is an interactive show, which worked really well in this intimate venue, and is suitable for adults and families. 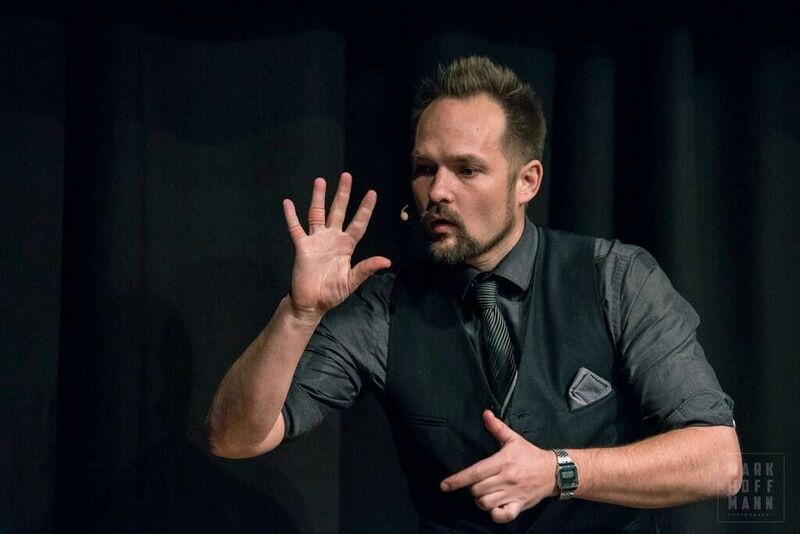 As well as participation from selected audience members, the whole audience has the opportunity to test their susceptibility to hypnosis and illusions. I was not so receptive, but that is part of the mystery. The show is clever, fast-moving and thought-provoking. Pierre has a genuine desire to entertain the audience and performs an original and carefully crafted act. A highlight was a hooded Pierre drawing a picture of a randomly selected member of the audience with remarkable accuracy, which amazed us all. Pierre also discusses some of the theories behind illusionary concepts and gives a little insight to the workings of the mind, which makes for an interesting subject matter. I think I may have worked out a couple of his secret methods though…. I wasn’t quite sure if the end of the show (or the beginning in this case!) 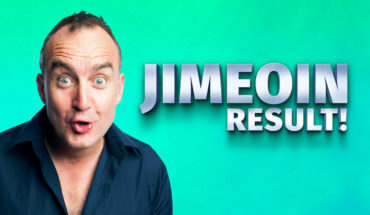 went quite to plan but this had no impact on my enjoyment and I found Pierre to be a confident performer who generated a real connection with the audience. It was a night of wonder and surprises. Celebrating six years living in Melbourne, Rachel is a fan of theatre, food, the outdoors and all things new and exciting. White Lies plays nightly at 8.15pm until Saturday 15 July 2017 at Northcote Town Hall. The show runs for 55 minutes. Purchase tickets now. Read all The Plus Ones coverage of the Melbourne Magic Festival here.